What is Intel® Data Migration Software, and where can I download it? Intel® Data Migration Software is used to move a client operating system from a hard disk drive (HDD) to an Intel® Solid State Drive (Intel® SSD). It's used on desktop or mobile systems. For desktop, the target SSD is plugged into a SATA connector on the motherboard. For mobile, a SATA to USB cable connects the SSD. The main purpose of this software tool is to complete the cloning in the operating system. If there are issues with the cloning process, use the Bootable Resume Media. This action creates a bootable CD where the Intel Data Migration Software can be ran outside the system OS. How do I know if the Intel® Solid State Drive (SSD) installed properly? Go to Device Manager. Look under Disk Drives. If the drive starts with Intel® SSD, it installed properly. Can I use Intel Data Migration Software to perform secure erase? Yes, Intel Data Migration Software comes with Drive Cleanser, a tool that can do multiple drive overwrites to fully remove all data. This function is not technically secure erase, but it is useful for repurposing drives. Secure Erase is an ATA command. For an encrypted Intel SSD, Secure Erase results in a full drive write of zero and then creation of a new encryption key. For more information about Secure Erase, see the Intel® SSD Toolbox User Guide. What type of USB to SATA cables can I use? Intel provides a USB to SATA cable in the upgrade box, and the cable validates the software. Some third-party USB to SATA cables work, but it is important the cable exports the correct model string to the operating system. If Intel Data Migration Software doesn’t receive the correct model string, it fails to detect the drive in the operating system and does not install. The cable must supply power to run the drive. Without power, the drive goes offline and the clone fails. Can I use the Intel® Data Migration Software to clone my Intel® Optane™ memory volume? No, you should not clone an Intel® Optane™ memory volume. It does not copy essential identification information like metadata used to pair the SATA drive and Intel® Optane™ memory module. It could result in data loss. If you want to clone the SATA accelerated by Intel® Optane™ memory, disable system acceleration so that the disks are separated. For more information on how to disable system acceleration and separate the drives, see the Intel® Optane™ Memory User and Installation Guide or Video Guide. Once complete, if the SATA drive is an Intel® SSD, you can use the Intel® Data Migration Software. 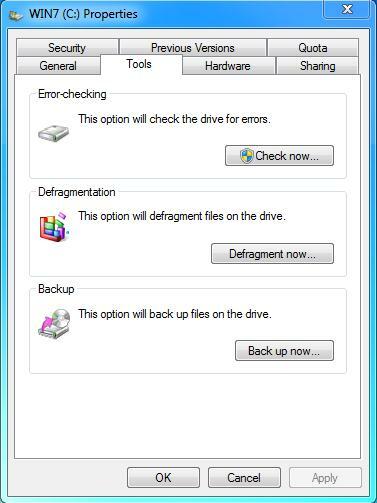 If it is an HDD, you can use a third-party cloning application. Does Intel® Data Migration Software support NVME drives? Yes, NVMe drives are supported by Intel® Data Migration Software. Why am I getting an Operation Failed message? The Operation Failed message means the Intel Data Migration Software does not recognize the file system on one of the partitions. A proprietary file system, or an error with the file system, can cause this error. Close the software and try cleaning up the file systems. Why did I get an operation failed message during the cloning process? The boot drive has multiple partitions. The cloning tool moves them one at a time. The size of the partitions also varies, so some complete faster than others. Even if one of the partition cloning operations fail, the others clone and complete. You can fix the problem by trying the cloning operation again. Why does the screen go blank on reboot during cloning process? Intel Data Migration Software completes the cloning operation after a reboot in a pre-OS state that looks like DOS. Some video cards are not able to show the video display mode, which makes the screen blank. A blank screen does not mean that the cloning operation is not running. Look to see if your system has a hard drive activity light. You can also listen for the hard drive. If you observe activity, leave the unit alone until the operation completes. You get a message when the process is done. You can also check to see if it is done by pressing any key. If the system shuts down, the process is complete. How do I scan and fix errors on a drive? Click Windows Start > Computer. Right-click the drive letter and select Properties. Click Tools > Check Now. When the User Account Control message displays, click Yes. 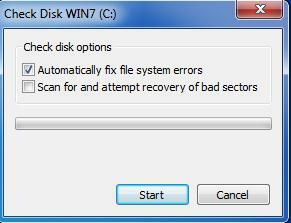 Select the automatically fix file system errors check box. Click Start. This article applies to 36 products.